Hogg Robinson Group (HRG) has appointed Zenith Experiences Travel Services (Zets) as its associate partner in Nepal, with the aim of boosting corporate travel to the region. The agreement will see Zets trade as HRG Nepal, while Zets owner Mihika Dhakhwa, becomes managing director of the new venture. Keith Burgess, HRGs general counsel and central services director, said: "Zets is a government-licensed and IATA-accredited agency, established in 1998. It is highly respected in Nepal and we look forward to working closely with them to offer their outstanding knowledge of this growing region." 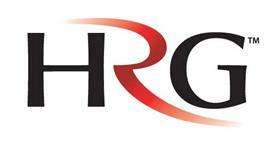 Dhakhwa said: "We are excited to join the HRG network and become part of a leading global network of corporate travel management companies. Corporate travel is in its relative infancy in Nepal, but as part of the HRG network we aim to lead the industry by offering the best and latest in corporate travel services in Nepal."